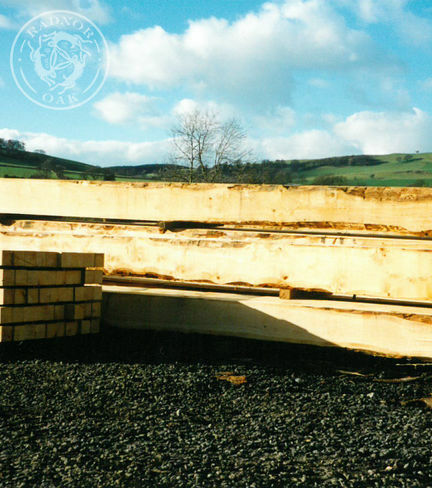 By the end of the 80’s the business had diversified significantly and traded as Radnor Timber Company. 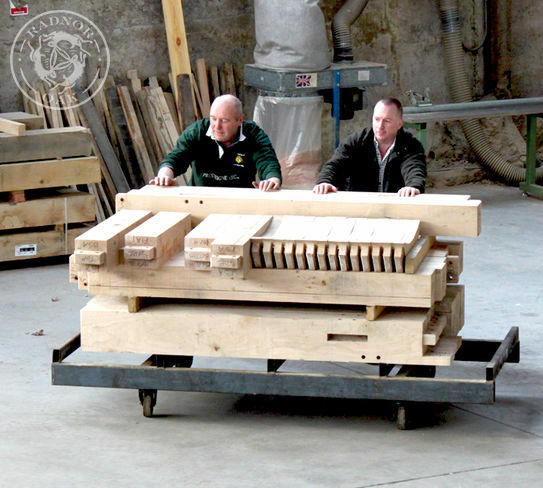 Our own sawmill was created to produce oak beams, planks and other structural timber components for the construction industry and included a timber processing plant with drying kilns to produce components for joinery products such as doors, windows, floors and staircases. In 1990 we established our framing workshops to produce traditionally jointed oak frames and joinery products. 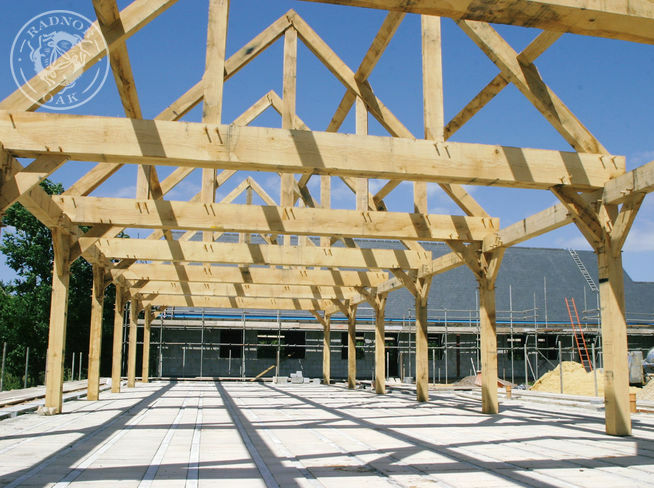 Skilled local designers, carpenters, joiners and construction teams were employed to create our first oak framed buildings. 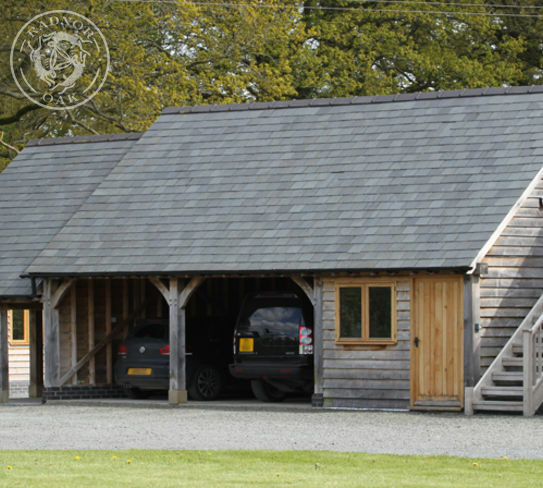 Bespoke oak frames became the mainstay of the framing business in the early days but pre-designed oak buildings were added to the products offered as the company quickly developed into oak framing and joinery specialists. In 2006 a show site was completed to offer visiting customers a selection of buildings to view as part of their decision making process (please note that visits are managed by appointment). The image below shows one of these structures, a Norton 3 Bay.